Alongside the release of iOS 9.3.3 beta 1, Apple has also seeded OS X El Capitan 10.11.6 beta 1 for Macs, as well as tvOS 9.2.2 beta 1 for Apple TV 4, to developers. More info on both the new beta seeds is detailed below. Apple’s latest beta of OS X comes in the form of first seed of 10.11.6, and comes attached with build number 15G7a. Apple’s desktop platform is at such a state in its development that this latest release is likely to focus entirely on under-the-hood improvements and performance enhancements. Apple has used previous builds of OS X El Capitan to introduce new features and consumer-facing functionality, but this time around is all about stability and priming the platform for the eventual reveal of OS X 10.12 at next month’s Worldwide Developer Conference (WWDC 2016) in San Francisco. Apple’s official release notes for this latest developer seed state that the release improves the stability, compatibility, and security of all Macs. As always, if more information becomes available about any potential feature improvements, we will of course bring them directly to you. For now, developers can grab the release from the Apple Developer Center, or directly from the Mac App Store if a previous beta version is already installed on the Mac in question. Update x1: OS X 10.11.6 beta 1 is now available to public beta testers. The fourth-generation Apple TV is one of Apple’s most newest focus areas thanks to the release of tvOS and the underlying App Store, but it’s also definitely one area that is growing in maturity very fast thanks to consistent software updates. 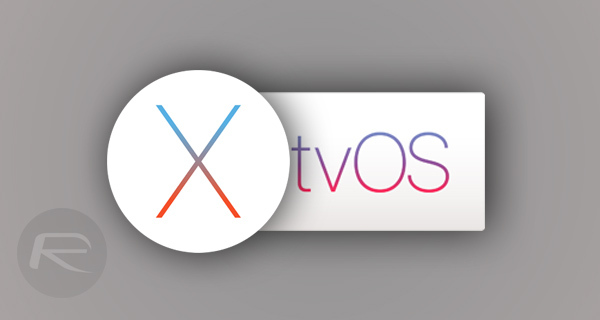 This latest release allows developers to get to grips with tvOS version 9.2.2, and comes just one week after the public release of tvOS 9.2.1 which was introduced to fix a number of small bugs within tvOS. As you might expect from a minor point update of this nature, Apple’s accompanying release notes that have been provided to developers, confirm that tvOS 9.2.2 is designed to bring bug fixes and security improvements to those who own a fourth-generation Apple TV unit. At this moment in time it doesn’t look as if there are any consumer-facing changes or feature additions that ATV 4 owners can sink their teeth into, but as always, we will keep you updated if any do become known.